– The Kiev Sea – a reservoir with an area of 922 km² on the Dnipro River to the north of Kyiv, created in 1964-1966 for the construction of a hydroelectric power station in the Vyshgorodsky district (42 km from Kyiv). At the end of XIX century at the place of the sea there was a usual bottomland. 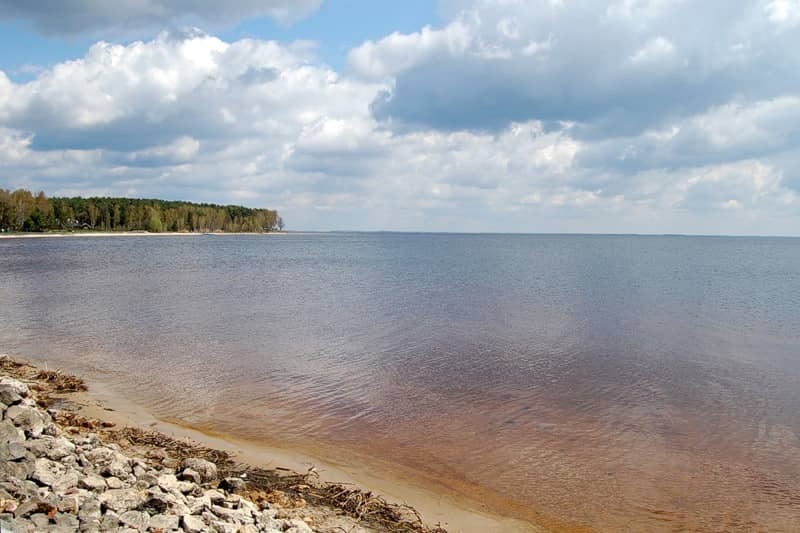 For the construction of the Kiev Sea, it had to drown 52 villages. The difference in altitude between the reservoir and the distant channel of the Dnipro is used by the Kyiv hydroelectric station for generation the electricity. Its length is about 110 km, and the largest width is 12 km. In summer the water warms up to 20-24 ° C. The reservoir was the last of six large reservoirs on the Dnipro. 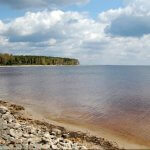 Along the coast you can fishing, kite surfing, relax on the beach or have a picnic. 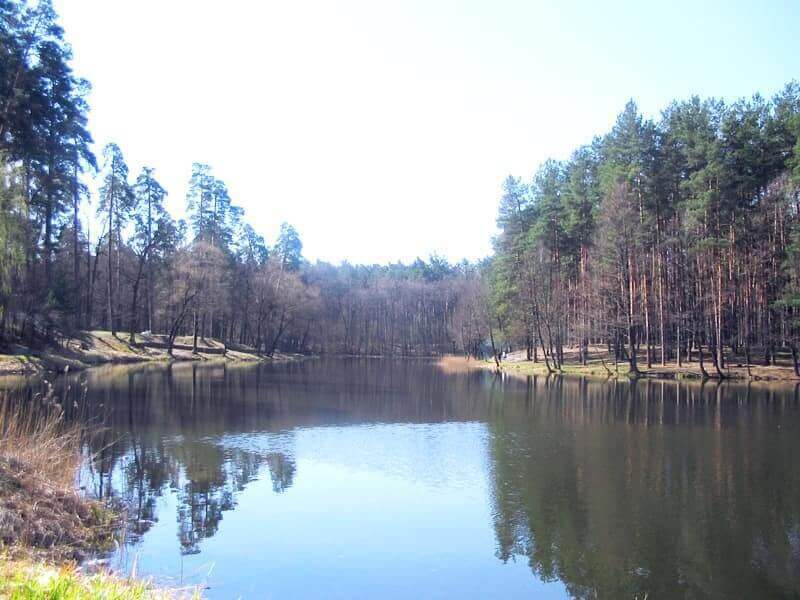 – Pushcha-Vodytsia – a historical place (21 km from Kyiv). Since 2001 is a part of the Obolonsky district of Kyiv. 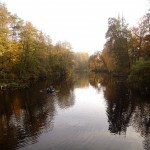 The name takes from located here the Vodytsia River and a dense forest (“Pushcha”). Since the XI century the area was used by princes for hunting. In 1724 here was created a forestry. And from the end of the XIX century Pushcha-Vodytsia became a dacha settlement, where the city-dwellers drove in the vacation season. Pine forest in 30 thousand hectares and the rivers created good conditions for health improvement in this area, which was the reason for the appearance of sanatoria and rest homes here. And since1904 was launched a tram for the citizens’ convenience to reach Pushcha-Vodytsia from Podil. 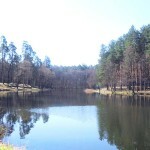 Also, Pushcha-Vodytskyi Park was laid with an area of 11.73 hectares, in which there are ponds and beaches for recreation. Now Pushcha-Vodytsia is one of the most popular places for recreation of Kyivans. There is a cascade of lakes with comfortable sandy beaches, a station for renting boats and catamarans. Walking here by tram will not only be the longest, but also the most picturesque route, most of which passes through the forest. – Koncha-Zaspa – a dacha settlement near the Dnipro on the outskirts of Kyiv (21 km from Kyiv). 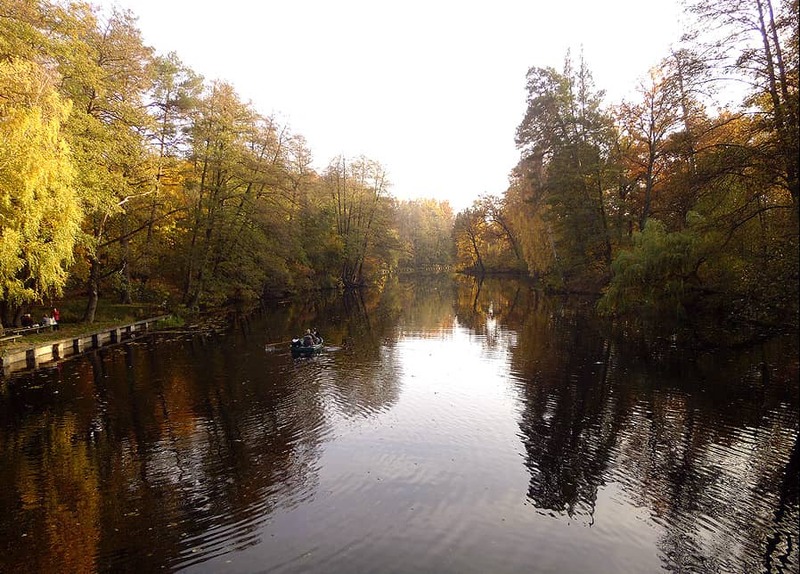 The area is mentioned since the XVI century and consists of a picturesque pine forest with access to the Dnipro embankment. The name comes from the local dialects “zaspa (shallow lake, sand-sprinkled, or riverine sleeve) and” koncha “(overgrown with reeds or marshy vegetation, or a semi-dry and sand-strewn former river bed). Presumably occurs from the Dnipro branches located here. Another version – from the name of the tract Koncha and Zaspa farm. Before the revolution, the area with a unique oak grove belonged to the Vydubetsky and Vvedensky monasteries, and partly to the tsar’s family. In Soviet times, Koncha-Zaspa became a closed nature reserve. Here were built departmental sanatoria and government dachas. Today it is an elite suburb where politicians and rich people live.